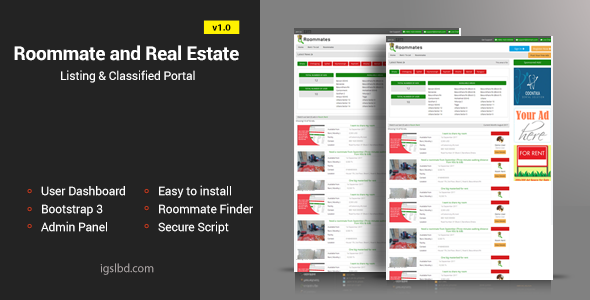 Roommate and Real Estate Listing Classified Portal is a php script that will help individual or a business to list available rooms or space for rent publicly in a few seconds. This will work best for roommate seeker or house owner to list their rent ads and to find rooms for their livings. Not only this but also a shopping mall owner can publish their free rental space ads. This is an easy application can be managed by user or admin.